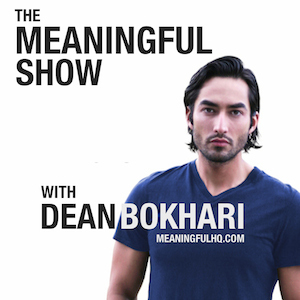 This marks the first episode of a new series here on the podcast: Meaningful Mondays. Especially if you're punching the clock every morning at a job that doesn't fulfill you. My hope is that this new addition to the show can give you something positive, powerful, and inspiring to start your week with. Here's the first of what I hope to be many Meaningful Monday episodes, and it's inspired by an old Jim Rohn speech I used to listen to whenever I felt like I might be making excuses for not bringing my best on a daily basis; whenever I was faking it, and perhaps not being the best "me" that I possibly can be (at work, at home, at the gym, anywhere). I hope you enjoy listening to this episode. But more importantly, I hope you *do* something with it. How easy is it to get up in the morning when you know you're not doing all that it takes? Not very easy at all… You can just lay there awake thinking — oh "what’s a few more minutes in bed, it won’t matter much anyway"
WRONG — it does matter. It will matter. NOW, how easy is it to get up in the morning when you're pouring it on, doing the best you can, anxious to get going to make progress toward your dreams. it's a whole different story. the disciplines that got you going are now part of your philosophy. How do you know when you're successful? Do you have to be a millionaire? if it's ten thousand a year — wonderful. if it’s a hundred thousand a year — wonderful. if it's a million a year — wonderful. the essence of life is growth--to do the best you can! how tall a tree grow? as tall as it possibly can! we CAN control, and that's what tends to get away from us. Now why wouldn't human beings strive to their maximum possibility? Here's why: because we've been given the dignity of *choice*. Choice makes us different than alligators and trees and birds. my best advice for you is to CHOOSE the ALL. THE MAX — there’s no life like it! — I'm telling you, once I got on track I've never looked back. Pick up the challenge, go for it, take the best of the two “easy’s"
take the route of "it's easy to get ahead”, "it's easy to do all you can”, “it’s easy to succeed”, “it’s easy to have financial freedom"
the more you do, the more you get. #2: to create more energy to fuel your ambitions, your desires, your achievements. How can you isolate what's working for you, and what isn’t? how can you make sure that you’re reinforcing your positive disciplines? So you can look back on it. by putting into writing the action steps you have planned you will easily see what works and what doesn’t. to get the most from the day. To learn the most from a day you need to be able to reflect on the day. So, how do you know when YOU are successful? The day you get up and spend most of your time taking action towards something you’ve decided on your own is worth pursuing for its own sake —and then the very same evening of that very same day—climbing into your bed with a pen and a pad, ready jot something down worth reflecting on tomorrow.